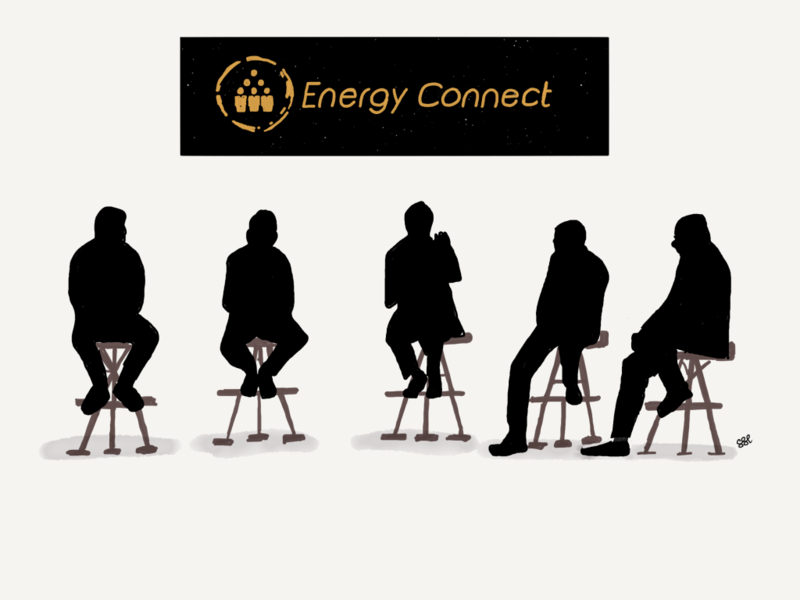 In case you’re not aware, the EnergyConnect Virtual Energy Conference and Expo is taking place on May 21 and 22, 2019. I am invited to speak at many events, but I am particularly intrigued about this conference because it is virtual—it takes place entirely online. Presentations, panel discussions, even the trade show floor, are fully virtual—attendees, for whom admission is free, take in the sessions and visit vendor booths on line, from the comfort of their office, home or while mobile. As you can see, digital is even transforming the traditional business conference. I see virtual conferences as disruptive because physical world conferences are costly and resource intense, trade show booths are incredibly expensive to mount, and attendance at traditional oil and gas conferences has been trending down for years. I’ll be chairing two panel discussions, one on each day, about the impacts of digital innovation on the oil and gas industry. The panel discussions are recorded live ahead of the actual conference, and replayed on the day, with the virtual audience able to ask questions of the panel just they would in a live setting. If you’d like to join the live event on April 16, you can find your tickets here. There are many different ways to organize panel discussions. Panelists could make short presentations, following which they could engage in a debate about key insights. Panelists could be drawn from opposing stakeholder groups around a certain topic (such as fracking), and challenged to a debate. In our case, the panel will tackle a hypothesis about digital in the oil and gas industry, not to provoke controversy, but to create clarity of understanding. The hypothesis is that the oil and gas industry has taken its first tentative steps towards a more digital future, and the opportunities to be captured are beginning to take shape. But which opportunities offer the greatest gains, and how long will it take for those gains to be realised? In a capital constrained world, business must focus on clear winners. To explore this hypothesis, I am involving business leaders from across a spectrum of the oil and gas industry — producers, engineering firms, and entrepreneurs. I am also engaging individuals on the front line of innovation, who have clear points of view about digital, its relevance, and its effects, and are considered by their peers to be experts in their respective fields. And I am structuring the panel to reflect the diversity of the oil and gas industry—backgrounds, experiences, age, and gender. To really get underneath the hypothesis, I propose a set of exploratory questions that the panelists can debate. First Exploration: What is Digital? Did you know that there is no clear definition of “digital’? The word itself is overused, poorly understood, and universally applied to anything involving computers. Digital could refer to a technology (such as artificial intelligence), or to a service (cloud computing), or to a product (Komatsu’s autonomous hauler), or to something that incorporates all three. The panel will start with aligning on the meaning of this term. I’m curious how organizations define digital in their context, or if they bother. If digital is vaguely defined, there’s a risk that every change initiative gets labeled digital, under the assumption that digital attracts funding. I’ve noted this phenomenon in the safety area—the surest way to guarantee that your pet project in oil and gas gets funding is to declare it a matter of safety. What is defined as “digital” can also change over time. Mobile computing, apps and cloud services (the building blocks for Payload, one of the industry’s early digital solutions), are now quite normalized, and so might no longer be classified as “digital”. App development companies are not considered as investable as they once were. As artificial intelligence solutions become more and more mainstream, they too fade into the background, and are commoditized. The panel will share their outlook for the timing of these solutions. Of course, this begs the question as to how digital will be defined in the future, or if it will even be sensible to discriminate between digital, non-digital, and business as usual. Will an energy company seek to differentiate itself from its peers on the basis of how it leverages digital innovation? Digital seems to run at a different clock speed to oil and gas (Amazon releases 2.6m software updates annually, or one release every 11 seconds), and companies that embrace digital’s way of working (called agile) report profound and permanent changes to their business cadence. What would it take for an oil and gas company to alter its DNA to embrace this way of working? Would it be worth the trouble? The panel will have a perspective on which digital technologies (and some analysts count some 400 specific and different technologies), are having an immediate impact on the industry, where those impacts are most enduring, and which still need some maturing. I suspect some variance across the various segments of the industry (upstream, midstream, downstream). And of course, what evidence compels the panelists to believe their assertions. There hasn’t been a digital solution yet that has thoroughly overwhelmed any of the segments of the industry in the same way that cloud computing and AI created Netflix and pummeled Blockbuster. Or how mobile phones and cloud software enabled Uber and destroyed the taxi industry. Perhaps the panelists have a view as to what technologies or solutions (the Internet of Things, augmented reality, blockchain, additive manufacturing), could be seriously disruptive to the status quo, and why. The mining sector leaders, another extractive industry, have concluded that to truly alter the business model of mining, they need to remove people as much as possible from harms way, and are well on the path to deliver a fully autonomous underground mine. Rio reports a 35% productivity gain in their mines where they have deployed autonomous gear. Much of the petroleum industry’s costs are tied to its reliance on expensive humans to supervise off-line assets (suggesting more automation), and the need for even more expensive human-powered analytics to interpret all the data (suggestive of a role for artificial intelligence). Woodside claims to have eliminated the 40% of the time their engineers spent just looking for information and asset studies in their archives by using artificial intelligence to do the searching. BP is so chuffed about AI that they are turning entire fields over to be run by computers. Is this the way of the future? The next area of exploration of the hypothesis relates to the value of digital innovation in oil and gas. Value comes in many forms, such as growth in reserves, extraction of reserves at improved economics, reduction in costs, better utilization of people, assets and equipment, and optimization of entire systems. The frontier for digital innovation is in the area of water and carbon management — measurement, tracking, pricing and trading. The panel undoubtably has many examples of tangible, practical and real application of digital innovation that they can share, which will help to answer the question of the business case for digital. I’m curious if industry is aiming its digital guns at specific kinds of business problems, and if so, which ones? Importantly, are there some business problems that are still beyond the reach of digital? For example, many digital gains are dependent on high quality and ubiquitous telecommunications networks, whereas much oil and gas infrastructure is typically beyond the foot print of telco coverage. The last topic relates to the question of leadership. While the panel is composed of leaders in their fields, I am curious about who they admire and why, both inside the oil and gas industry, and in other industries. Who is really good at digital and what makes them better at this than others? I pay close attention to Rio Tinto, Shell, BP and Maersk, for example, who have been very visible and public with their interests in digital innovation. Leaders may well be doing something differently. Perhaps it’s how they are organized. Perhaps it’s the performance measures they use to motivate change. Perhaps it’s a programmatic way of driving innovation. The panel will address what attributes of success they have seen in their experience. Finally, I’m curious if there was a trigger moment when investing in digital change suddenly became very compelling. The biggest challenge in a conservative industry is getting started, taking a first step and convincing management and Boards to try something different. The panel will speak to the things that they suggest companies do to get started. I’m also chairing a second panel, where we will discuss the key challenges and risks to adoption. In my view, the pace of development and adoption is slow in comparison with other industries. What impedes the adoption of change, which risks must be carefully managed, and what can companies do to accelerate their results? In the fast-paced world of digital change, leaders excel in adapting operations quickly. Check out my new book, ‘Bits, Bytes, and Barrels: The Digital Transformation of Oil and Gas’, available on Amazon and other on-line bookshops.